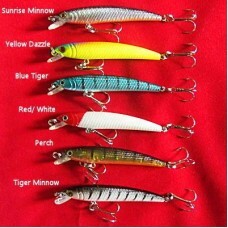 Crankbaits come in all shapes and sizes and in an unbelievable spectrum of colors. There are deep diving crankbaits and ones that run shallow. 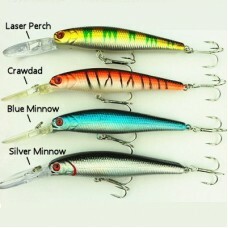 Crankbaits are relatively simple to fish and are very effective when used in the right conditions in the right places. The NCO RatL DivR Minnow is a hard plastic, deep diving crankbait designed to dive 9 to 15 feet deep.. The NCO ShaLo RatL Minnow is a hard plastic crankbait designed to run shallow at 1 to 4 feet ..